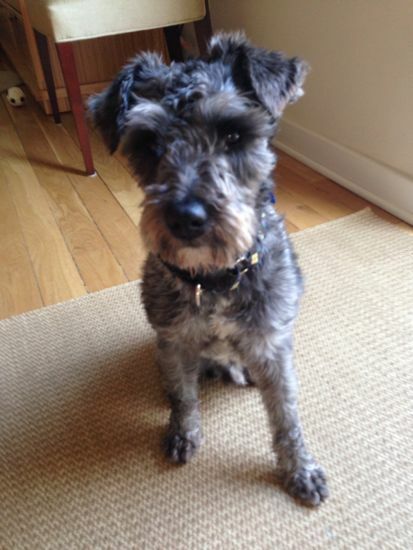 We’re very popular these days and it’s all about a little gray dog. Everyone wants to come hang out with Morty. Whenever anyone comes to visit I like to create a little nibble using something from the pantry. Saveur grabbed my attention with their Spring Cocktail Party and I realized I could make three of the recipes by buying only a bunch of scallions. I call that a win. 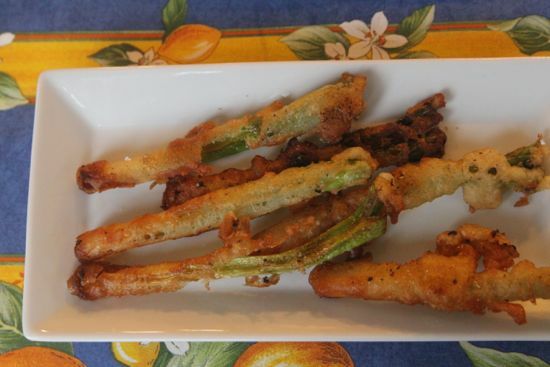 I highly recommend Batter-Fried Scallions. They’re fabulous, easy, and very snackable. I might want a nice garlicky, anchovy laced aioli the next time. 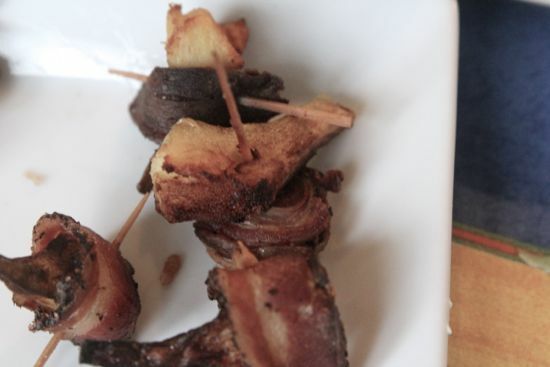 Fondi di Carciofi (Bacon-Wrapped Artichokes) were tasty. A little frustrating to fry, but tasty. I had my own canned artichokes and wrapped them in three kinds of cured meat: pancetta, smoked duck breast, and lamb ventreche. I think the lamb was my favorite. 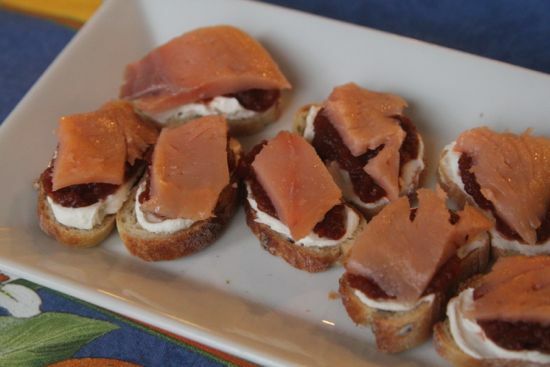 Toast Points with Roasted Beet Dip, Smoked Salmon and Watercress I will admit to seriously messing with the recipe. I used home canned roasted beets and added the juice of one lemon to the purée (it was too sweet for my taste). I also schmeared the toast point with cream cheese (homemade!) I had no watercress. We loved it. 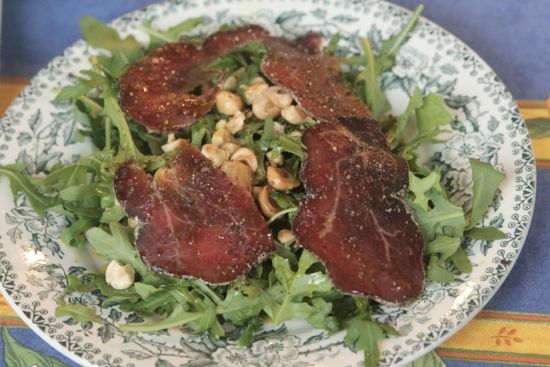 Finally, a baby arugula salad with bresaola, hazelnuts, hazelnut oil and lemon juice. These were definitely fancy-pants snacks. It took about an hour to pull it all together. Fortunately, Alejandra brought some libations. 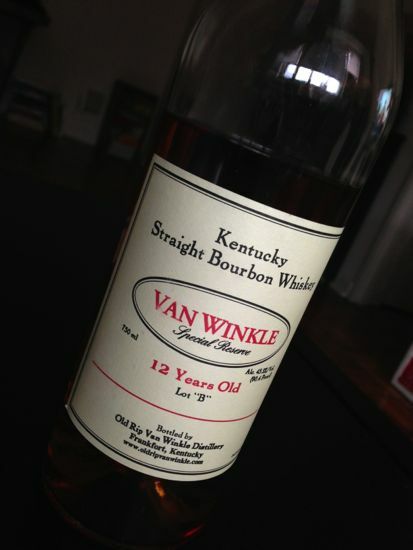 Holy good bourbon, VanWinkle is outstanding. What a good friend. But don’t worry. 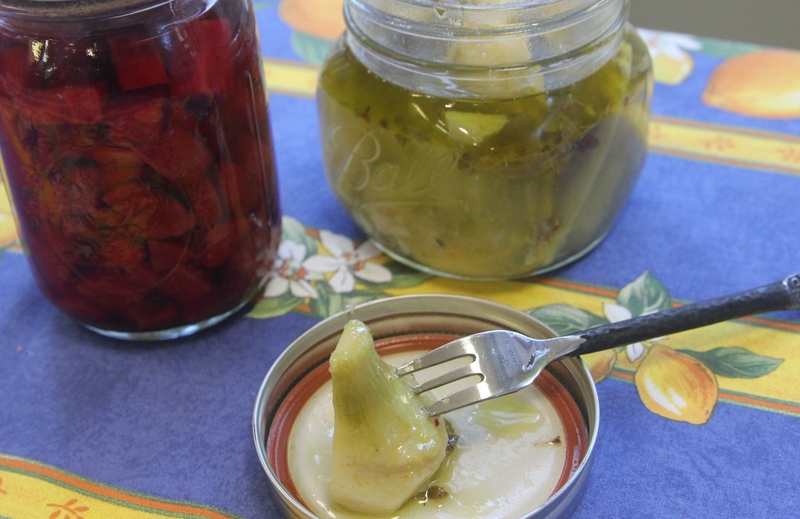 Be ready for company even if you don’t have a pantry full of jars. 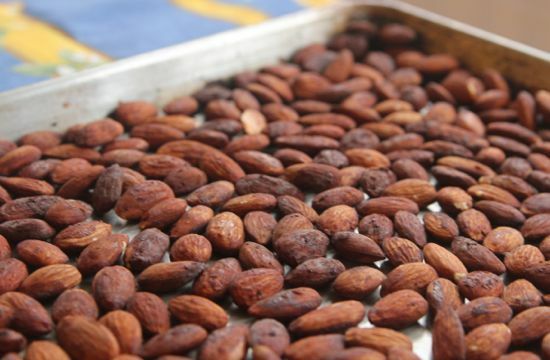 These tamari almonds are snackable, tasty, healthy and easy to make. Tamari is fermented, like soy sauce, but less processed. It is available without wheat, making it a great option for the gluten intolerent. I find the flavor more complex and mellower than soy, and prefer that organic versions are available. If you can’t find tamari, just substitute soy sauce in this recipe. In a medium bowl, mix together the almonds and the tamari. Pour the almonds onto the baking sheet, as well as any tamari in the bowl. Bake in the center of the oven for 8 minutes, then stir the almonds. Bake for an additional 8 minutes, then remove from the oven. Stir the almonds well, then remove the parchment paper and let the almonds fall back on the hot baking sheet. 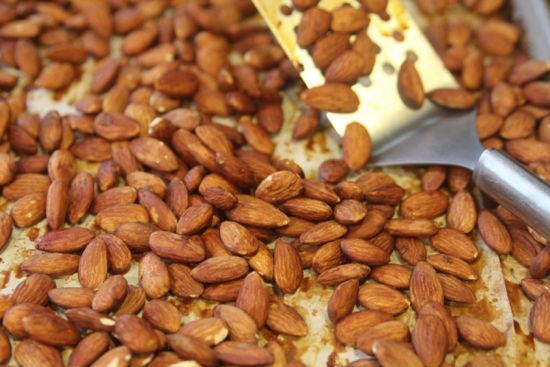 Let the almonds dry out on the hot baking sheet for about 10 minutes. Cool completely and store in a tightly sealed glass jar. The almonds keep for at least a week.